Kayo mumbles something as she is dying, but it is impossible to make out. She dies sweating. None of the wheezes or coldness or stillness of the deaths of old women. Kayo dies with fever, her eleven-year-old body fighting up until the very last moment and then giving up suddenly. She lapses into unconsciousness, wakes up long enough to mumble something, and stops breathing. For a long moment her two twin sisters are still. They are close to her death, all three of them shut up in the dank, tiny room they share, one of many just like it set into the walls of the main training room of the Farm. The twins can hear the rustling and the small breaths of the other girls in the other rooms, but Kayo’s breath is gone. They look at each other. They are eight years old, or perhaps nine. It is not clear exactly when they were born. Kayo has led them this far, held their hands and sheltered them, warmed them with her own body on frigid wintry nights here in this Northern land, washed the wounds of punishment inflicted on them by cruel Taro with his cane of reeds, and now she is dead. They both know it but they cannot speak it, not even to each other, for several breaths. Then their eyes meet again and it is undeniable. She is dead. Seki and Sata are alone. They do not get up and do not call for their minders, who may punish them if they draw any attention. They hold each other there, next to their sister’s corpse, and they whisper soothing sounds into each other’s ears, and after a while they begin to talk of Kayo. They find strength and solace in each other, and their whispers grow stronger. As the first rays of dawn start slipping through the cracks between the boards of their tiny room, each twin reaches out and places a hand on Kayo’s body. She is cold now, all the life already long gone. They swear to her and to each other that they will raise themselves out of this life. All the things that she had promised to get for them they will get for themselves. It is the promise of children, children grown up all too fast but children all the same, with no real idea of what the world has in store for them. And yet that promise binds them, and they will keep it even when they do finally discover its true, terrible cost. They are sworn. Morning comes and they are rousted and Kayo’s death is discovered, and they are beat for failing to reveal it as they would have been beaten for revealing it before dawn. Taro stinks of cheap wine like every other morning, and he groans as he wields the cane against their tiny bodies. They have been at his mercy for three years now, and neither girl cries while being beaten anymore. On the farm there is work, pain, practice, and rest, with just barely enough food eaten hurriedly in between. There are thirty girls there, aged five to fifteen, and every one either is or will be beautiful. Those who do the dirty business of obtaining girls are well-practiced in the choice, and Taro and his assistants work them hard. They learn the arts of makeup and the arts of dance. They spend long hours working in the gardens and doing chores. They play whisper games at night, passing messages from tiny room to tiny room, trying to stay quiet enough to keep the minders at bay. Seki and Seta retreat at first, after Kayo dies, in spite of their promises. Swearing and doing are two different things, and for a year the two girls always have a tear in at least one eye. They do what they are told to do and try their best to hide their despair, but that first year is a fugue. One year to the day after her death, they spend the night in the same tiny room where she died, and they cry, and they cannot console each other, and when the dawn comes they have cried so much that it shows on their faces and they are beaten again, and must feel Taro’s sweet, hot breath coming down at them with each blow. They are nine years old, or perhaps ten. That afternoon they are out in a vegetable garden pulling weeds, side-by-side in a row of other girls. They both glance upward at the same moment, to see a giant bird, unlike any they have seen before, glide out from behind a distant evergreen tree in the direction of the nearest mountain peak. It is a Mountain Hawk Eagle, though neither girl knows its name, rare and proud, brown and white and with wings longer than they are tall. The Hawk Eagle begins circling over their heads. Seki and Seta both know that bird is their sister, come to visit them once more. A peace falls upon them. “You there! Seki, Sata! Stop your chattering! Five years pass. They are fourteen, or perhaps fifteen. They are the most beautiful girls on the whole farm. They are unmistakably twins, almost identical but with enough difference to tell them apart. Two sides of the same coin. They have transformed themselves into the rising stars of the house, the in-demand girls who will perform for the lords and perhaps even catch one’s eye. The are the best dancers and the best at pouring tea. All the things that girls have whispered of are within their grasp. Taro no longer beats them, but praises them lavishly and beats other, younger girls. He brings Seki and Seta favors when he comes from the city, tokens of esteem from gentlemen he has told of the sisters’ beauty. They have moved out of that tiny closet to a larger room at the front of the farmhouse, with one wall against the back of a firepit so that it stays reasonably warm even in the winter. Spring comes, the time of year when a crop of new girls are taken from the farm to the city, to begin work in the House itself. Seki and Seta know this is their year to be taken, and so they are. They sit on the wagon as Taro steers it along a jouncing dirt path, the girls staring into the far distance, past the stunning beauty of the mountains and towards the city which they imagine will be somehow even more beautiful. They catch each other’s eyes, and smile just slightly, and each knows the other is thinking of what this day means. Today is the day they leave behind all the horror of the Farm, all the beatings, all the frigid nights, the terrible food that they ate ravenously to still growling bellies. The girls of the House are required to be beautiful and perfect at all times, and so they are given decent food, and warm beds, and creams for their skin. This, at least, is what is whispered of on those long farm-nights, the dreams passed from girl to girl and from generation to generation. They arrive in Yamagata and something seems wrong. The wagon passes a castle, its rising walls and towers painted a strong, striking blue, but the wagon just keeps right on rolling. They pass through streets lined with well-constructed wooden buildings, filled with women in beautiful kimonos stomping along with span-high, wooden platforms strapped to the bottom of their sandals to keep them up and out of the mud. They leave this behind and enter a drab area, where no one makes eye contact, where the clothing is duller and coarser, and they finally pull up outside a large, wooden building with high walls surrounding it, and a trio of giant, scowling guards out front. Seki and Sata are frozen in the wagon, staring up at the sign above the door of the building, a sign which they now realize they cannot read, until the guards lift them roughly and take them inside and lock them away. By that very evening, the sisters are side-by-side attending to the sweatiest, filthiest mob of drunks who ever walked the earth. They are fighting men, rough men with coin and with nothing to lose, and the dances they spent all those childhood years learning are interrupted by pawing hands with disturbing frequency. At the end of the evening, they are taken each to her own room at the back of the building, and each finds a different nobleman there waiting for her. These are the men who sent favors to the farm, and who have paid high coin for the privilege of deflowering the girls everyone is talking about. And Seki and Seta do as they are told, for there were those whispers back on the farm as well, of the things that were expected. All their dreams come crashing down that night, and each girl wonders how she could have been so foolish as to think that anything but a hard fate awaited her. Neither one sees her lord again after that first night. There will be no rescue. They are the lowest girls of the house, and in-between violations they are made to do still more chores, to wash the clothing and draw the baths of the older, established girls. Seki and Sata are whores, forbidden of any learning, of any possession, of any pride. All the arts of dance and makeup and coquettishness are just ornamentation to their bodies, which are the real objects of sale. Perhaps somewhere there is a place where those other skills are valued, but that is not this place. For a time, they try to resist. Not with their bodies, for that way is death, but with their hearts. They are silent when on display, and go through the motions of dance without really dancing. Only the roughest of sailors wants them, and life grows even worse. But then one night, late at night when the House is quiet and they are supposed to be asleep, the girls remember that this was the night of the year when Kayo died. They look into each other’s eyes and whisper again the words of their vow. They had indeed forgotten, but now they have remembered. This is not the life she wanted for them. This is not the life they promised to live. They swear again that they will get that life no matter the cost. They are great beauties and quick studies, so they rise swiftly through the House. They learn the tricks that men like, learn the subtle breaths and widening eyes that accompany genuine pleasure, learn how to tease those reactions from their clients. The scene in a brothel is ugly but even ugly things have their winners and their losers, and Seki and Seta are winners. They find a few rich patrons who become regular customers, and provide them enough status to get a small room together where they can be alone. They realize that they must learn to read, so they begin to wheedle a few kanji out of their favored patrons. They assemble a rudimentary alphabet. They have no writing implements or ink, so they bring in pockets full of dirt from the gardens when they work outside, then slowly dribble the soil out of a fist to form the characters on their wooden floor. They memorize hundreds of characters this way, magicking language out of the very ether. They learn to speak Chinese and Korean from the men who pass through. They learn how to talk just intelligently enough about battle and learn when to titter brainlessly. Soon enough they are at the top of the House. It is a rough House, true, of no great name, but they are its greatest assets. They are seventeen, or perhaps eighteen. Lords come from the castle to receive their ministrations, and send them trinkets the next day. One night they are taken to the castle, and spend a luxurious night with the heir to the mantle of daimyo, Sanjo Ujimori. He is twenty years old, and after it is done he gives them each twenty gold coins. It is as much coin as they had made in their entire lives previously, and Taro gives them each their own quarters after that. And so they settle into a rhythm of life that actually is close to what Kayo wanted for them. The next time the date of her death comes around, they buy good wine and rice balls and have a feast, but in the middle of it all, they realize at the exact same moment that this is not enough. Everything they could ever have imagined means nothing now. Kayo and her dead dreams mean nothing, for now there is nowhere to go. The striving itself was all that had ever kept them going. Now there is only the future, very much like the present, with sweaty men and dreary nights and painful mornings, until they are old and feeble or dead. They will have to invent a new dream. The decision to kill comes rather easily. Commonplace horror is no horror at all, and Seki and Seta have seen many people die before. The move from observer to cause does not trouble them overmuch. They choose one of their most dedicated clients, and enlist his help in their scheme, promising him rewards beyond all measure. The client invites Taro over to his house for dinner and drinking, and get him very drunk. Seki has developed a pleasure relationship with one of the House’s guards, who lets them out of their room for the night. They go to the client’s house and Taro is there. They knock him unconscious, then tie him and wait for him to wake. When he does, the torture begins. They pull his nails from his fingers. They pull his teeth from his mouth. They take his own reed cane and poke his eyes out of his head with it. Three hours and more he suffers before he dies. The client and the guard who cooperated with them are too frightened of them to turn them in. They take Taro’s body and dump it in a river, and he is never found. They return to the brothel that evening, and find they are not troubled at all. All that we might call goodness has been burned out of them, and only strength remains. Only the strength to do what they must do. They throw themselves into their work, bringing twice as much pleasure to twice as many, and the knowledge of how easily they could kill any of these men brings them some solace. Taro is dead and the House is without an owner, but another rich man appears and takes control, just as Seki and Seta had known he would. The new owner’s name is Akira. One week after Akira appears, he is dead from poison. Another new owner emerges and that same month he is murdered by thieves in a dark alley. This goes on, with no one knowing how it is happening, until one of the owners dies and no one is willing to take his place. A month later, the house is in chaos and rumors of a curse abound. Clients are unhappy, girls are restless, and guards are not being paid. Seki and Seta, at the behest of everyone involved, reluctantly agree to run operations until a permanent solution can be found. That very same evening, the twins send a letter to Sanjo Ujimori, their old patron. They ask that he make a special exception and allow them permanent position as head of the brothel. In exchange they offer him pleasures untold. 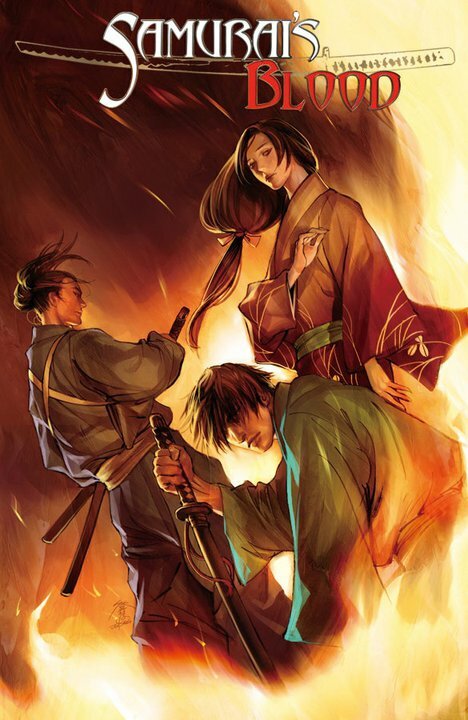 He accepts, and Seki and Seta find themselves ruling the world in which they were once prisoners. They never go to bed with another sweating, stinking man, but only with the daimyo himself. Within a year, what is now called the Kinjo House is the best regarded brothel in the province. Their feminine touch in decoration and atmosphere sets it apart from all other houses, and men come from as far away as Edo to sample their delectations. They have invented their new dream and achieved it, and will rule their world for fifty years with a ruthlessness that few men or women are able to display. They are twenty-two, or perhaps twenty-three. They sit in the main office of the Kinjo House, wearing the finest silks, with dozens of guards and servants waiting just seconds away to attend to any whim. From the farm and Taro’s cane to this in eight years. They remark that it is the anniversary of Kayo’s death, and they reflect on how far they have come. Each congratulates and thanks the other. But secretly, inside, they feel nothing. Each hides this emptiness from the other, one of the few true secrets of their life together. And so for all their lives, each woman will think herself alone with the struggle. This entry was posted on Monday, October 10th, 2011 at 5:33 pm	and is filed under Samurai's Blood. You can follow any responses to this entry through the RSS 2.0 feed. Both comments and pings are currently closed.